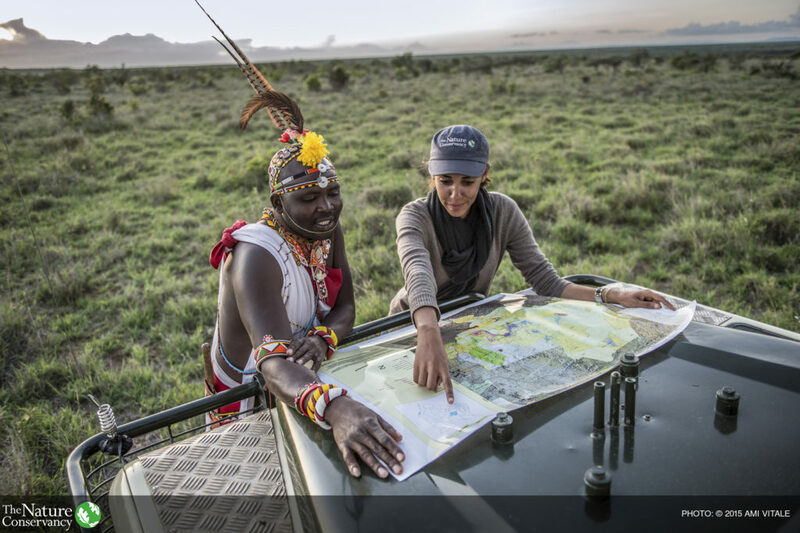 The Conservancy and many other conservation organizations have a strong history in creating maps that identify critical ecological information such as where important biodiversity remains and which locations are likely to be more resilient to climate change. This information remains highly relevant as it provides foundational information for developing actionable plans. Achieving systemic change that benefits socio-ecological systems requires us to harness this spatially explicit information about biodiversity, along with additional types of spatially explicit data, including social, economic, and political data, to develop effective strategies that consider the many dimensions impacting conservation efforts. Conservation has also evolved from a largely protection-oriented practice to one where protection stands alongside many other strategies that may be deployed towards our mission. We now regularly invest in large land deals, the establishment of protected areas, watershed-scale investments in restoration, agriculture, forestry and fisheries best management practices, improving corporate practices, altering development siting, strengthening regulations and laws, and many other strategies, each of which will touch down for greatest impact in different kinds of places. We need a conservation approach that considers these diverse options, their various footprints, and the full set of conditions that determine their likely impact. In the CbD 2.0 Guidance document we focus on how spatial planning can be integrated with strategy development to tell us what actions are needed where to achieve systemic change. 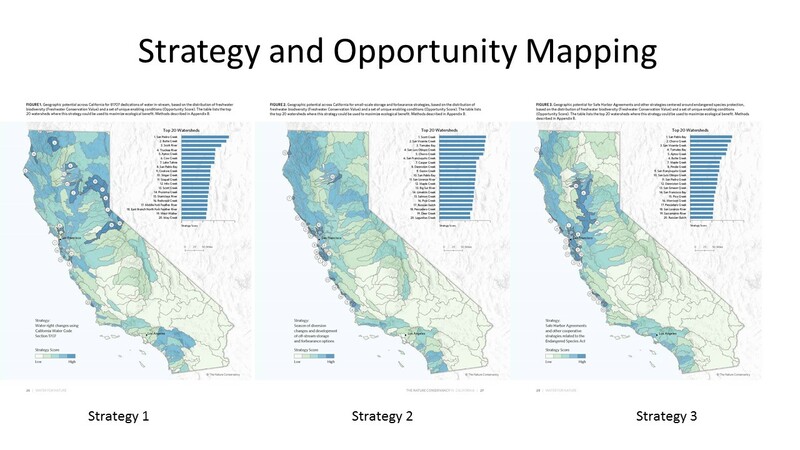 The resultant ‘strategy and opportunity maps’ can show where investments in specific strategies will be most effective. This ensures that investments are targeted to affect the places where they have the most benefit to the larger socio-ecological system and allows robust estimates of the magnitude of change possible with a given strategy. Such mapping also lends itself to comparisons amongst alternative strategies, including cost- benefit analyses. This article explicitly addresses the similarities and differences of mental models and computer models, as well as between optimization models and simulation models. Simulation modeling focuses on learning about the system rather than providing answers.